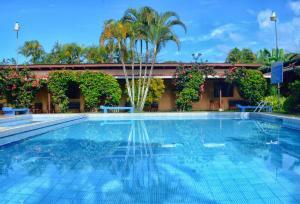 ﻿ Best Price on Wipeout Hostel in Jaco + Reviews! 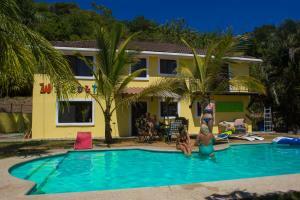 Located in Jacó, within 5 miles of Jaco Walk and 8 miles of Rainforest Adventures Jaco, Wipeout Hostel provides accommodations with an outdoor swimming pool and free WiFi. Among the various facilities are a garden and a shared lounge. Staff on site can arrange airport transportation. 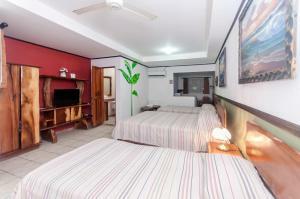 All rooms come with a shared bathroom with a shower. 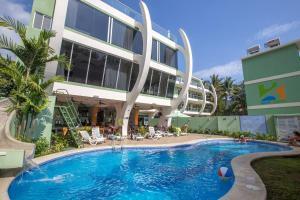 The nearest airport is Juan Santamaría International Airport, 58 miles from the property.